Studio Bell, home of the National Music Centre, officially opens on Canada Day. There are countless ways to experience music here, but for starters, you can take a piano lesson, challenge a friend to a really high-tech karaoke competition and learn about the science of singing. You know of Studio Bell, home of the National Music Centre. And you know it’s a big deal, both for Calgary and for Canadian music. But maybe you’re not sure what there is that you, the everyday, likes-music-but-isn’t-a-musician Calgarian can do there. The answer is, a lot. And you can see for yourself when it opens on July 1. While the West Block is home to offices, recording studios, classrooms and the Rolling Stones Mobile Recording Studio (and the King Eddy, which will be open during Stampede with live country music performances, by the way), right now visitors will be most interested in the East Block. Over five levels, Studio Bell has 22 exhibition stages – that’s how Studio Bell refers to its galleries – and each level has a different theme related to music. Construction will be fully complete in October of this year, but Studio Bell opens its doors for the first time on Canada Day. Visit the centre on July 1 between 10 a.m. and 5 p.m. and admission is free. This is the level of the centre that highlights the mosaic that is Canadian music. This is also where the Performance Hall is, which has tiered seating and retractable walls to make the performance space bigger and smaller. The timeline in the Made In Canada stage begins at 1617. The Made In Canada stage highlights the breadth and diversity of Canadian music. 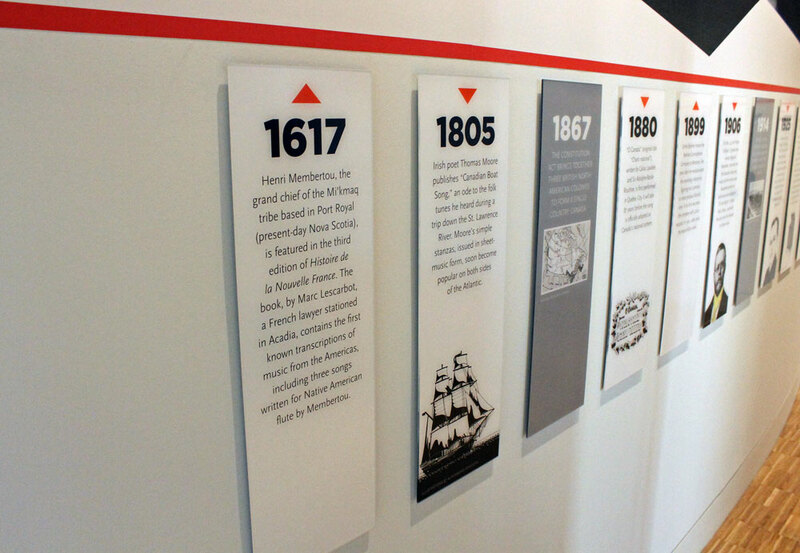 You can learn about important milestones in Canadian music, from 1617 to the present. If a particular milestone catches your attention, you can learn more about it and dig a little deeper. There are touch screens in the gallery that you can use for an interactive, in-depth experience. You can read more about the milestone and the musician you’re interested in, and listen to their work. A 15-minute audio-video plays in the Soundscapes stage. 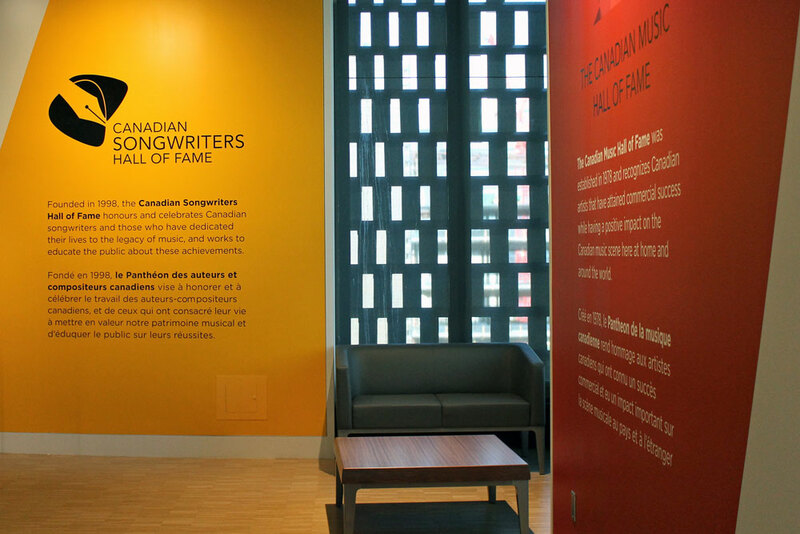 It will show on three walls and it highlights how Canadian music and culture is inspired by the Canadian geography. Think of this as a living photograph. Where Music Lives is a smaller side stage that shares details on a few of Canada’s influential music venues. Have you heard of The Commodore Ballroom in Vancouver or Montreal’s Salle Wilfrid-Pelletier? After visiting this gallery, you can pretend to your friends like you have, even if you haven’t (yet). The overarching theme of this level is “the power of music.” Tour the three main stages and two side stages to really get a feel of how music can be powerful. Visit the Brain and Body stage to get an insight into how music can affect the body on a physiological, psychological and cerebral level. Get a better understanding of earworms by using the flowchart on the wall to determine why you’re humming that same song over and over again. (Maybe it’s related to repetition. Or stress. Or a memory. Or maybe it’s just “Hey Jude”.) 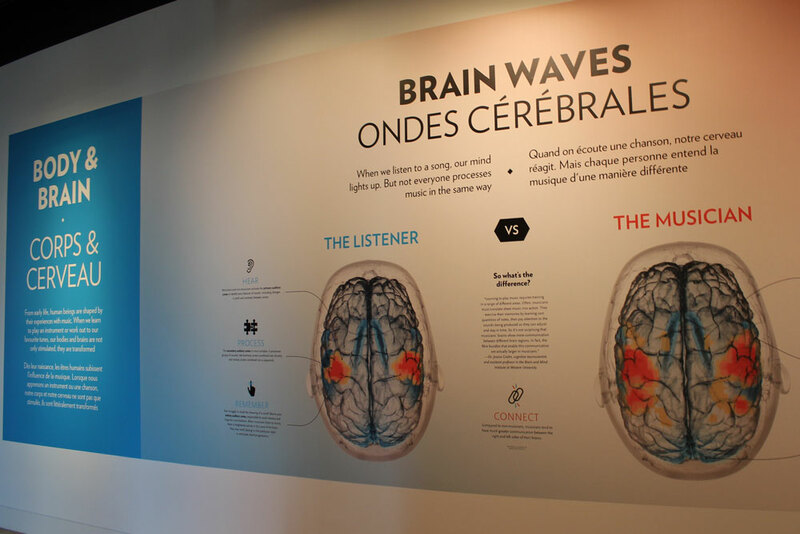 In this same gallery, you’ll learn how music alters the brain and why it’s essential for some people to do their jobs. There’s a Kimball theatre organ on this level and if you catch a live performance, you’ll get some major feels. Originally, this instrument accompanied silent movies to help an audience know how to feel and respond to the silent films. This particular instrument is from 1924. There will be at least once performance daily. One of the “voiceboxes” (on the left) is the place to test how good your singing voice really is. In the Voice stage, close yourself off in one of the two “voiceboxes.” Here, you’ll pick your vocal range, you’ll pick a Canadian song you want to sing, and then you’ll sing along, kind of like karaoke. The catch – the system will tell you how many of the notes you hit perfectly and how many you missed. With such an unbiased judge, this is the place to challenge a friend to a sing-off. 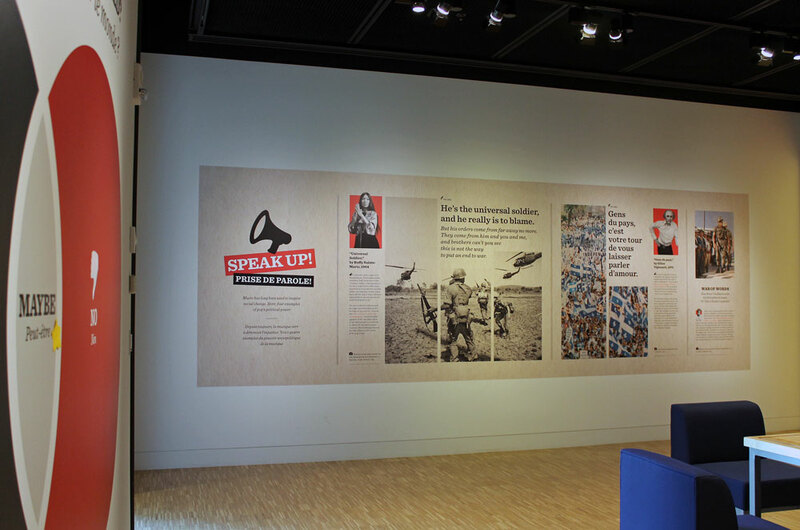 The Speak Up stage encourages visitors to learn about the Canadian music that was born from political or social conflict. Those songs highlighted in the exhibition play in the background, like “Universal Soldier” by Buffy Sainte-Marie. Spend some time in the room discussing whether music has the power to influence big change. The six stages on this level are all about making music. And it doesn’t matter if you’re a professional musician, an aspiring musician still taking piano lessons, or just a fan – everyone can join in. 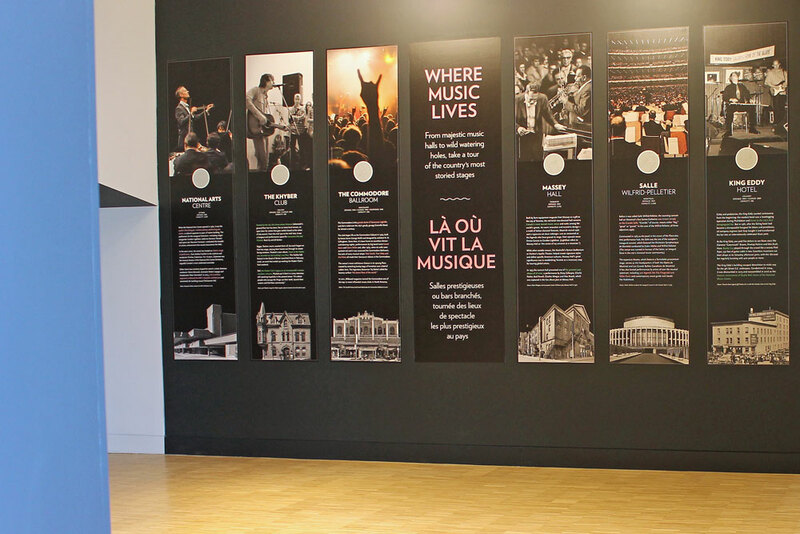 The National Music Centre houses more than 2,000 artifacts and you can see some of that collection throughout the centre. On this level, just a few of the notable artifacts you’ll see include Natalie McMaster’s first ever fiddle, Neil Peart’s Hockey Night in Canada drum kit and an electronic sackbut, created by the Canadian Hugh Le Caine. 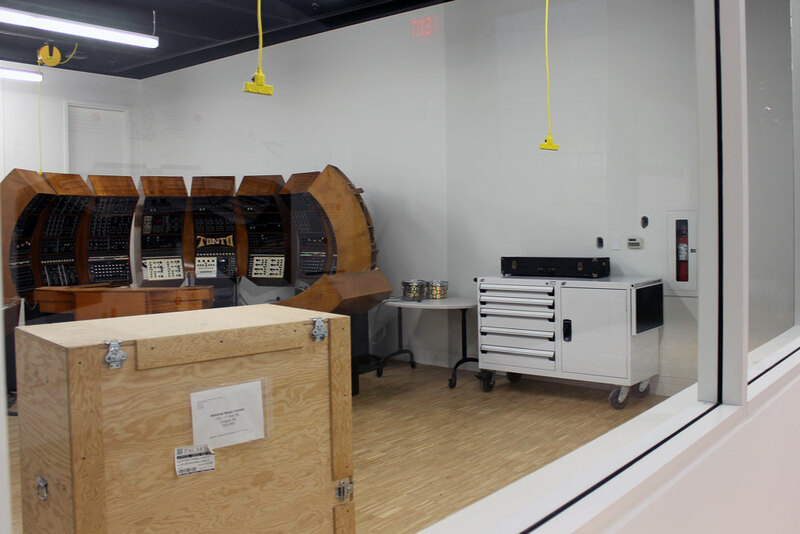 TONTO and the world’s first voltage-controlled synthesize (boxed). Select your level of expertise and then begin your music lesson. In both the Plugged and Unplugged stages, you can take a mini music lesson. (If you consider yourself more of a DJ, you can also mix a song.) 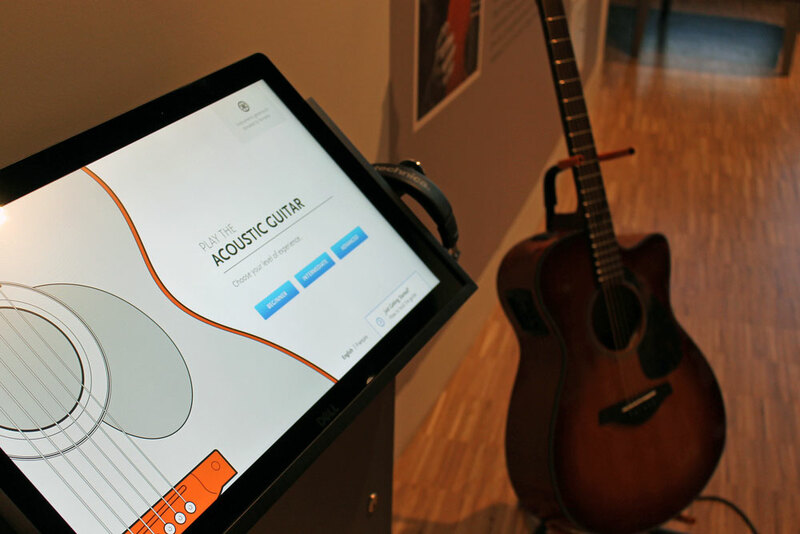 Try out the drums, the piano or the guitar with an interactive lesson. Select whether you’re a beginner, an intermediate or an advanced player, and then the music lesson will go from there. We don’t mean clapping and stomping and snapping. Stand in front of the Bodyphonic screen, gesture exuberantly and make a song. This level of Studio Bell is all about celebrating music and Canadian musicians. This level also has the East Village Skywalk, which connects the East and West blocks and houses Patrick Marold’s electro-acoustic audio installation, and the Cloud Lounge, a rest stop or event space. 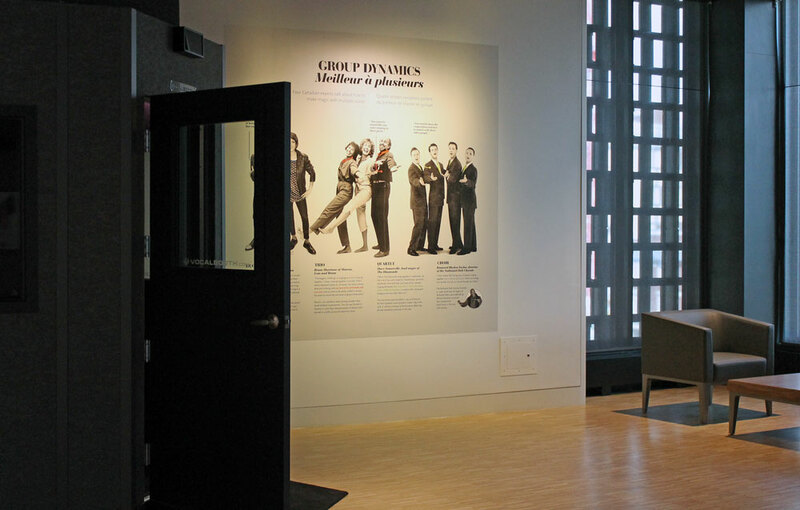 This level is home to the Canadian Music Hall of Fame, Canadian Country Music Hall of Fame and Canadian Songwriters Hall of Fame. This is the first time that these halls have been together under one roof, and also the first time that they’ve had a physical space. You’ll see trophies, you’ll see induction ceremonies on video and you’ll learn a little more about the artist behind the award-winning music. Artifacts include textiles. 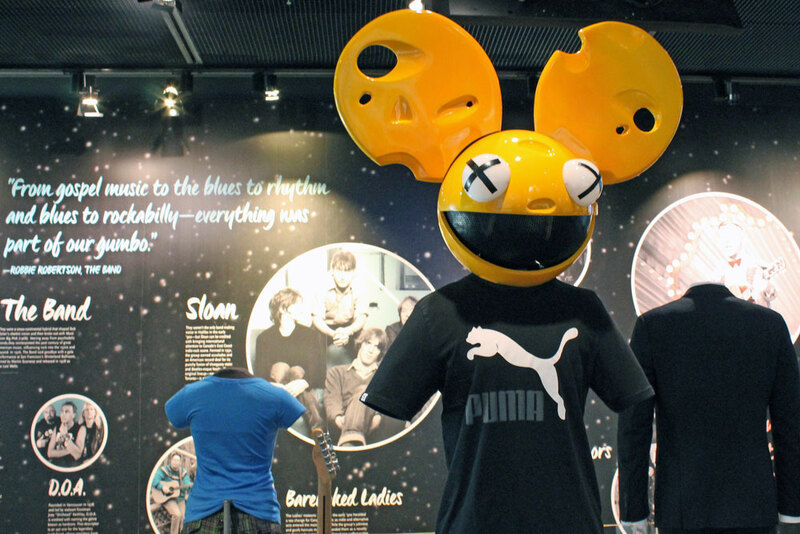 In the Idols and Icons stage, you’ll see musicians’ stage costumes and props (like Deadmau5’s Mau5head and Stompin’ Tom Connors’ “stompin’ board.”) Know that each mannequin was custom designed – the artists’ measurements were researched to make the portrayal as realistic as possible. Studio Bell, home of the National Music Centre officially opens on July 1. Studio Bell, 850 4 St. S.E., 403-543-5115, studiobell.ca.